I've finally made the leap to naval gaming. I have the first batch of 1/2400 scale ships (purchased second hand here) and will be filling out a Spanish American War collection after some more research. My main question at this time is, what is the best basing option? Other advise (unknown unknowns) would be much welcome. Second choice is a base painted the same color as your playing area, to lessen the chance of your minis looking like playing cards. 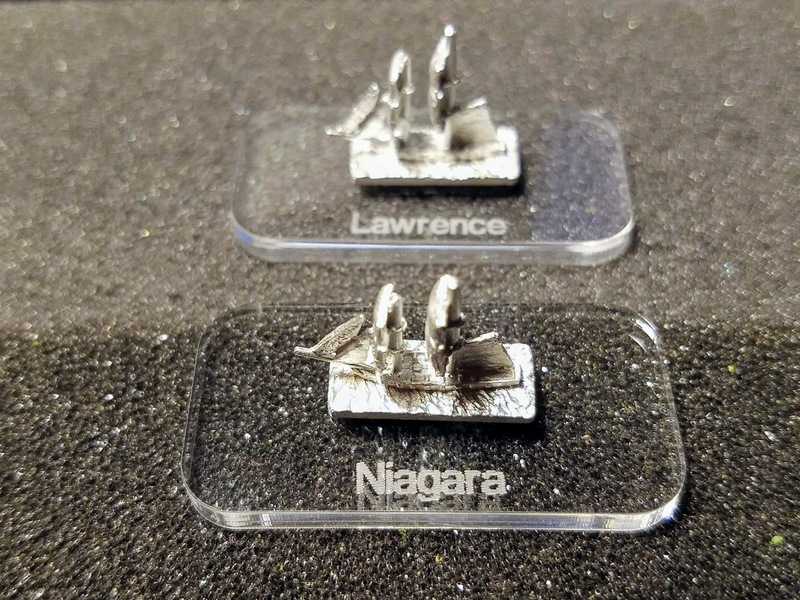 You might consider mounting the ships on clear plastic so that you don't have to worry about matching the color of your playing area. Plus you can still add names to the bases. I am inclined to add ship names so some kind of base is needed. Litko will custom cut lexan bases for you. I use 3mm thick with beveled corners, which gives you something to get hold of while still being very unobtrusive. I would not leave 1/2400 predreads unbased. And while I would be strongly inclined to do textured painted sea bases for 1/1200 age of sail, I wouldn't bother going that route here. You can stipple on some white for a bow wave and a wake, and you're done. sitting on a nice seascape mat, it looks a whole lot better than you'd imagine. Well, you're in the TMP majority there, FWIW. Where needed, I write ship names on the bottom of the models with a pencil, which in addition to being unobtrusive, is erase-able for reuse. Normally I remember which is which by paint job and position, but if I forget, I can check the model. I look on that as a useful memory exercise. @BuckeyeAKADarryl, are those Figurehead 1/2400?